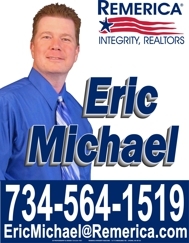 Real Estate, etc... by Eric Michael: My Greatest Failure? Is There Such A Thing? I'm not sure that being a "failure" is necessarily a bad thing. I got a D- once on a report card (stupid Geometry Theorems! ), but I got through it. I "failed" as a Rock Star. There are even times when I look back over a situation with my kids and briefly think, "man, I'm failing as a parent." Then I snap out of it. I was never going to be a Mathematician. I made a CD back in the day, but how many people actually make it BIG? As for my kids, I think they got a pretty good dad, if I do say so myself. There's a saying, "fail early and often," and in some circumstances, I believe it's 100% correct. Sure, you can fail. But if you learn from it, and grow as an individual, is it truly "failing?" I agree Eric, I just wrote my blog for this and, I think that we don't fail until we give up and accept failure. Bob, you said it a lot simpler than I did. Thanks, Pal. Eric, I wrote in my post that they are not failures they are Life lessons. All failures are a learning tool for ourselves. Have great evening. Sussie, they are. Thanks, you too! From any failure comes great life lessons. It is only a failure if you accept defeat. It's only failure if you let it be. Otherwise its a chance to learn a lesson, even if it's a hard one and not do the same thing again. Eric- I've changed paths when something wasn't working for me, but I'll be damned if I'm ever going to fail. Now back to the CD? Seriously, who knew. And why didn't I know this before? Eric -- I agree with Cindy Jones' comment -- it's only a failure if you believe it is and you don't learn from it -- with failure we can never truly appreciate success. I'm with you here Eric. "Failure" is just a learning experience unless we quit. Quitting is failure to me. Eric, We all have things go ways we don't plan. My believe is it's okay to make mistakes, just don't make a habit out of repeating the same ones over and over when there are so many new ones to try out! Looks like we're all pretty much in agreement. If we stumble, but get back up and learn from it, it's not a failure. Failure only happens when you give up. The greatest successes have the most amount of failures. It takes practice in failures to make a success. Failed as a rock star? Man, I want to hear more about that. I just wanted to say I failed as a Rock Start too! But I can play a mean Air Guitar! Got the moves down too! Have a great Sunday! Cheryl, you're right about that! Chris Ann, I actually recorded a CD a while back. I did all the vocals on it. I never got a copy, but my guitar player still says he has it "somewhere."